5 1/2 hours of practice and theory in a 2-DVD set. Includes 3 guided Yin Yoga practices, 3 original Yang Yoga movement forms, 2 hours on the theory of Yin Yoga, and 6 bonus self-guided Yin Yoga sequences. Suitable for all levels. Join internationally acclaimed yoga teacher and scholar Paul Grilley for Yin Yoga: The Foundations of a Quiet Practice. 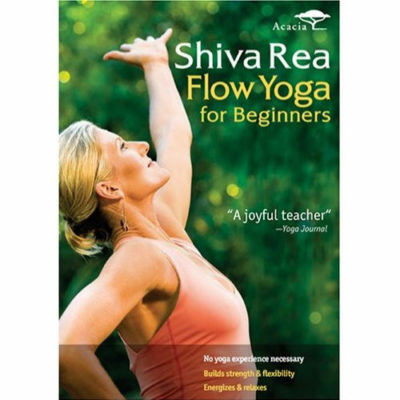 This 2-DVD set by Yin Yoga’s foremost authority is the definitive presentation on this essential practice. Yin Yoga emphasizes yoga postures held on the floor for long periods of time (usually 2 to 5 minutes or longer) with a minimum of muscular effort. The focus is on gentle stretching and stimulation of the fascia and connective tissues of the body. Rather than an exclusionary style of practice, Yin Yoga is the necessary complement to muscular, dynamic strength-based yoga and fitness practices. Many people find the results of Yin Yoga practice to have transformative effects on body and mind. The gentle but consistent stimulation to the connective tissues encourages long-term health and flexibility of the joints, recharges the energetic system of the body and naturally draws the mind inward into a relaxed, meditative state. 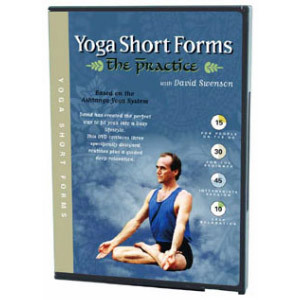 The materials on these DVDs will provide you with everything you need add Yin Yoga to your life. In addition to the carefully planned classes that lead you through the practice, Paul Grilley presents an in-depth lecture on the theory and purpose of Yin Yoga that brilliantly establishes the benefits of this practice for a healthy and balanced life. It is our wish that you find this balance in your own life through these wonderful practices. 8 voice-only guided Yin sequences of adjustable length. Paul’s wife Suzee, a professional dancer with a distinguished career spanning over two decades, joined Paul to choreograph and present the 3 unique yang sequences. Level: Suitable for all levels.